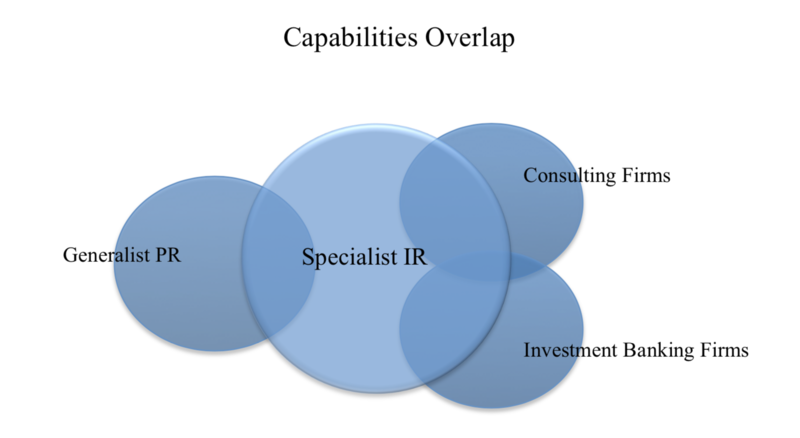 A brief look at how Specialist IR firms differ from Generalist PR firms. Preamble: The Indian PR industry is beginning to mature. Gone are the days where a PR agency could behave like supermarkets offering everything under one roof and get away with delivering just rudimentary Investor Relations (IR) services. Market players are realising that the Indian Corporates are becoming more astute about their specific IR needs and expect much more than Generalist PR firms can possibly offer. This article discusses the differences between Generalist PR firms and Specialist IR firms such as Dickenson World IR, and why the latter cannot be ignored anymore. By “Generalist PR firms”, the author of this article is referring to mainstream Indian PR firms providing add-on IR services. These are typically mid-to-large PR firms, which have evolved as all- encompassing agencies over the years by throwing in add-ons to their main PR mandate with their clients. Traditionally, many of these firms gained popularity by being strong in their IPO marketing capabilities, heavily leaning towards mass media dissemination and advertising to primarily gain retail investor interest. Post an IPO, as a hand-holding exercise, it was natural for them to offer some basic IR services, which involved simple tasks such as taking care of Quarterly Releases of Financial Results and setting up Analyst Conference calls to discuss the latest QoQ or YoY annual results. By virtue of this practice, the IR component of these agencies was always considered a tiny slice of the all encompassing and budget- intensive PR pie. In these firms, Human Resource predominantly comprises PR professionals and Relationship/Account Managers, with few people having any financial analytical capabilities. 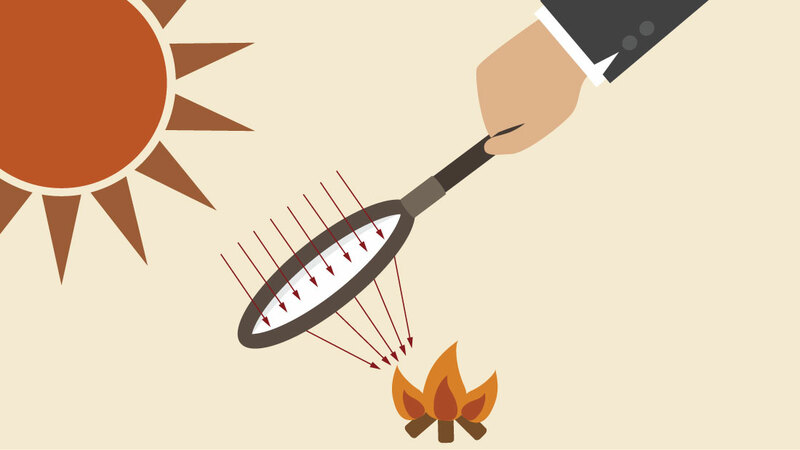 Not surprisingly, limited resources on the analytical side can only spread so thin, up to a point where such firms end up being capable of offering only the most rudimentary components of IR services. With the number of participants within financial markets having grown exponentially over the years, capital markets have become that much more dense, complex and dynamic. The sheer variety of investor types and funds now prevalent in the financial market implied there is a clear need for a deeper understanding on financial markets by the PR agency, to understand market players and their motives with respect to time horizon and return expectations. More so, with a plethora of stocks screaming for attention from “an already anaemic” bench strength of sell-side and buy-side players, there is also an urgent need for agencies to differentiate their clients by positioning them well and proactively marketing the stock to market participants through strategic one-on-one meetings and participation in qualified corporate access conferences. In such situations, “Generic IR firms” invariably fall short and give way to the “Specialist IR firms” in terms of their domain expertise, financial capabilities, performance and goal-driven IR mandates. Being a Specialist IR firm has been a common practice in the USA and Europe for quite some time now. By contrast, these typically comprise Investment Bankers, Financial Analysts and Seasoned Financial Journalists. They completely stand apart from “Supermarket” PR firms by virtue of being extremely focused within the IR space and delivering value-added services, which only those with specialised intellectual capacity can deliver. Dually termed as “Financial PR”, Specialist IR firms have globally maintained a special reverence compared with Generalist PR firms not only as IR Specialists, but as Independent Advisory Consultants on matters such as investor activism, M&A strategies, fund-raising strategies and so on. In fact, many argue that the line dividing a Specialist IR Firm and an Investment Banker is extremely thin indeed. As a matter of fact, a school of thought says the level of strategic thinking and advisory work carried out by Specialist IR firms is not too much different than the one carried out by pure Consulting Firms engaged in giving advice and recommendations based on in-depth financial, market and peer research. Dickenson World IR is amongst the very few such Specialist IR firms in India. As founders of this business, the Key Promoters of the Company espoused to follow the Anglo American model of specialist Financial PR firms by becoming “Specialist IR” firms. As a relatively new entrant into the Indian marketplace, in 2012 Dickenson World IR acquired a small four-years old boutique IR firm Seagull IR Solutions, and completely revamped its offerings and processes to deliver a highly researched-based and intelligent IR programme to clients. The Company instituted strong IR Analytics deliverables; a customised CRM system in which each “conversation” is a closely- tracked case; a robust and highly-qualified database of buy-side and sell-side participants; a systematic feedback survey mechanism for resetting the message; subscription of rich databases such as the Bloomberg terminal; and finally a team that 100% comprises seasoned analysts with over 2-3 years of prior experience within the buy or sell sides. As a result, Dickenson World IR quickly gained capabilities in delivering high service levels and strategic advisory services which not only delighted its legacy clients inherited through the acquisition, but also gave a strategic fillip to its organic client acquisition. Today, Dickenson World IR stands shoulder-to-shoulder with some of the best Investment Banking Advisory firms in terms of capabilities and quality of service provided. The Team at Dickenson World IR possesses the insight to pinpoint key areas of “disconnects” with the marketplace, and recommend a strategic re-positioning of the Company through its communication collaterals and with a proper action plan needed for rectification. It is one of the only IR firms, which, as a routine, reconstructs its clients’ businesses and financial model from scratch, making the Team acutely aware of every single variable impacting the business. This kind of rigorous process gives both the client and Dickenson’s team members the confidence to explain the business to analysts in full depth and allows it to truly become an add-on capacity builder to the IR “face” of its clients. In most of the cases, their clients are highly comfortable in letting Dickenson World IR handle the first round of meetings with the analysts, leaving more time for them to explore the more strategically natured queries with the Management in the second round of meetings. The concept of capacity building and optimal use of Management’s time is central to their philosophy of delivering added value. To extend this concept further, Dickenson carries out rigorous IR analytics and investor targeting exercises with each of its clients. This intelligence allows Dickenson to purposefully target investors moving in/out of its client’s peer companies or the sector in general. It also allows them to target conversations with certain analysts who may be bearish on the stock/sector at any given point of time. Finally, it is this intelligent approach to knowing market sentiments on each of its clients that help Dickenson prepare its clients to manage street expectations better. Another key differentiator of a “Specialist IR” firm such as Dickenson World IR is its acute focus on tracking the latent opinion of market influencers. In contrast to a “Generalist PR” firm, IR specialists use this as important feedback and help their clients re- position their core message to the capital markets. This “re-positioning” is done not only by changing the investor presentation, but also through other channels of communication managed by the clients’ in-house Corporate Communication Team, such as websites, brochures and management interview videos. In this respect, Dickenson World IR is one of the very few IR specialists that straddle their communication capabilities across Brand Stewardship and Corporate Communication platforms, enabling its clients to have a much more “integrated” approach towards communication. “specialist IR” firm is to ensure that over a period of time, the profile of the institutional investor has an investment philosophy most suited to the client. This involves aligning the investors who appreciate the risk-reward profile of a client stock; the time horizon anticipated for witnessing results of adjusted business strategies and the return expectations of investors to what the stock can reasonably deliver. In India, it has been seen empirically that the institutional base of investors impact the trending of stocks much more than participation by retail investors. The latter tend to be followers, while the former are leaders in establishing the “new” price. Noticeably, Generalist PR firms more often than not use the clout of mass and financial media to drive influence in the market. This type of communication leads to a much better reach towards the retail investors, while institutional investors mostly depend on their own research and one-to-one dialogue with the Company’s Management. Generally, “Specialist IR” firms are more involved in the game of managing the perception of key stakeholders dominating stock behaviour, and less engaged in influencing retail investors. To this extent, it must be acknowledged that it may sometimes be suitable for a Company to have both “Generalist PR” and “Specialist IR” firms to plug all the holes in their communication-based platform. However, firms utilising only “Generalist PR” firms are probably losing out significantly on many core institutional-centric opinion- shaping activities that only “Specialist IR” firms can deliver. On the other hand, since retail investors play a minor role in the long-term pricing of a stock, most firms can manage comfortably well with just a standalone “Specialist IR” firm. Dickenson is a seasoned capital markets communications specialist, with offices in London, New York and Mumbai.